As a result of the high production of plankton, The Dojran Lake is abundant with fish biomass and different kinds of biggest production of fresh water in Europe. 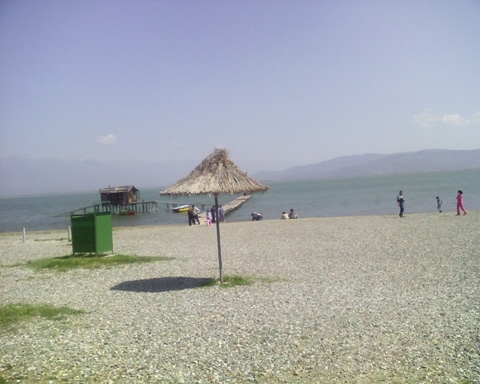 The fish fauna in the Dojran Lake is represented by 15 fishes, one of which is endemic. 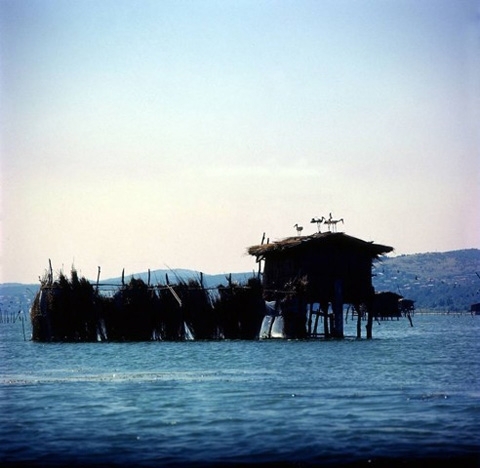 On the western coast of the Dojran Lake there are two fishermen settlements Star (Old) and Nov (New) Dojran, which, in present times, flow into one urban whole. There are several variants of the romantic legends about the beginning of this lake. The first one is that on the present lake’s area, in the olden times there was a well from which the people from the neighboring villages were filling water. After they have finished filling water, they were closing the well with nine locks. One day the most beautiful girl from the village, by the name of Dojrana went to fill water. The man she loved was waiting for her by the well. After she filled the water, she was enraptured by the man’s caresses and forgot to close the ninth lock.Water started brimming and it flooded the whole valley. Another legend tells of the Turkish pasha who fell in love with the beautiful girl Dojrana and he ordered his soldiers to bring her in his tent. But the girl objected the order, and in order not to be taken away, she threw herself in the huge spring, which accepted her innocent body and to protect it from the desecration, it spilled over and flooded the valley. 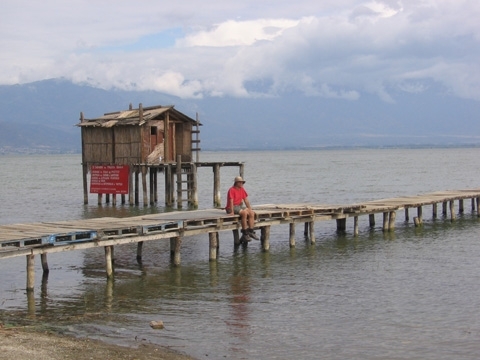 The researches have shown that the area surrounding the lake has been inhabited since prehistoric times. 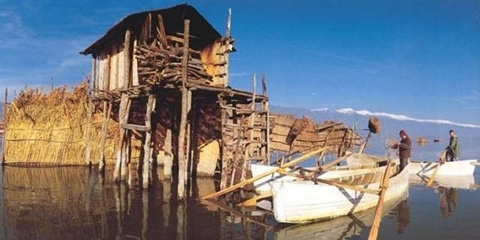 About the life in antic times, which was unrolling on the area of present-day Nov Dojran, there are records from the 5th century B.C., when the Greek historian Herodotus marked that on the shores of the lake Prazja (Dojran Lake) there live Paionians whose prime occupation is fishing. Talking about the lake, he noticed its richness in fish, and stated that is just enough to put empty baskets in the lake in the evening and in the morning they will be full with catch. He mentions the lake-dwelling settlements that were reached by boats and the specific way of fishing with the help of birds (pochards, etc. ), which were flying very low and in that manner they drove the schools of fish into the hunting area, called by the Dojran fishermen as mandrake. The picture given by this historian is not very different from the one the visitors notice in the present. There are still lake-dwelling settlements, placed into the natural quiet and the calmness of the lake waters, as well as the ancient way of fishing, so it seems that time stopped and passed by this ritual, like it was frightened that it might ruin its originality and beauty. After the Roman period, Dojran was under the Byzantine rule and it was named Polin, which means town, and in 1391 it was conquered by the Ottomans and it moved on the place of the present-day town Star Dojran. As a leader of the Ottoman army was Evrenos-beg to whom the legend of the change of the name Polin to Dojran is related. It tells the story how the bey reached Dojran, passing over a frozen lake without knowing that he is moving on ice covered with snow. When he found out about the danger he went through, he figured that he and his army must have been protected by Allah, so he threw a feast. After the feast had finished, he asked his soldiers how they felt. Their answer was Dojuran, which in Turkish means pleased and well fed. The town Dojran is named after this answer.